﻿In 2018 a book was published about the history of UO. 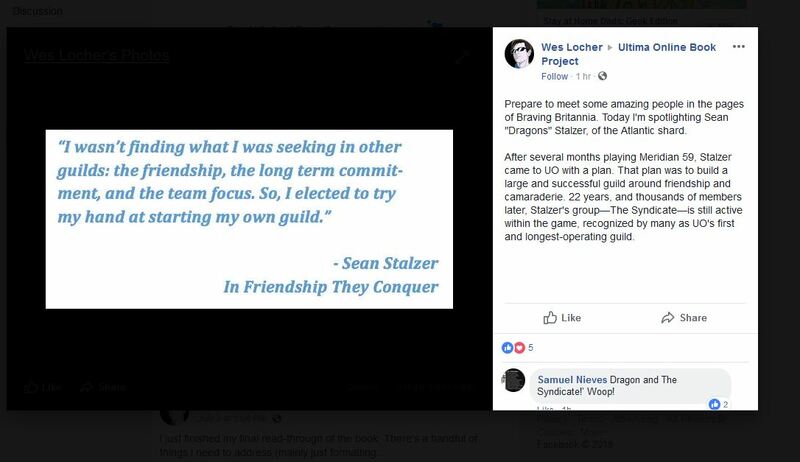 The Syndicate participated in the book via interviews and Q&A about the game and the guild. Shortly before it came out, sections were highlighted by the author. Here is a highlight of The Syndicate and its guildmaster.